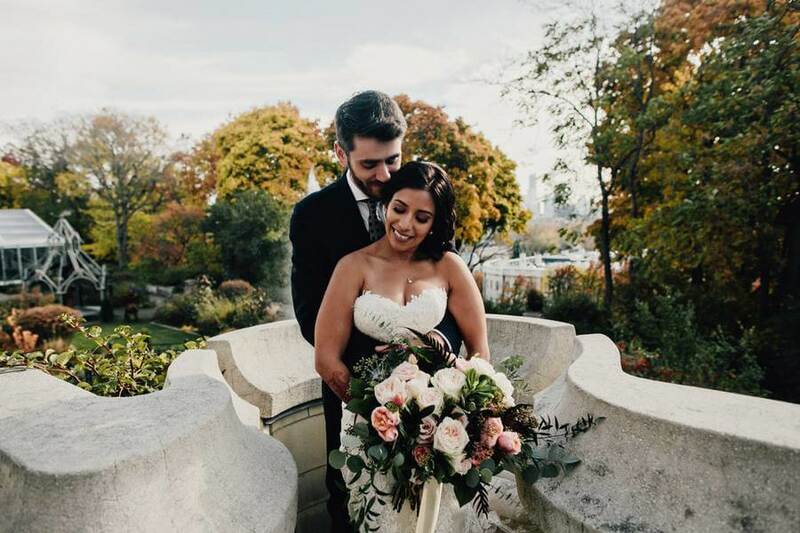 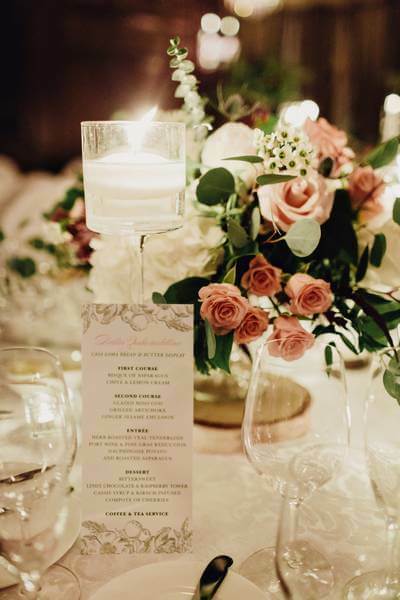 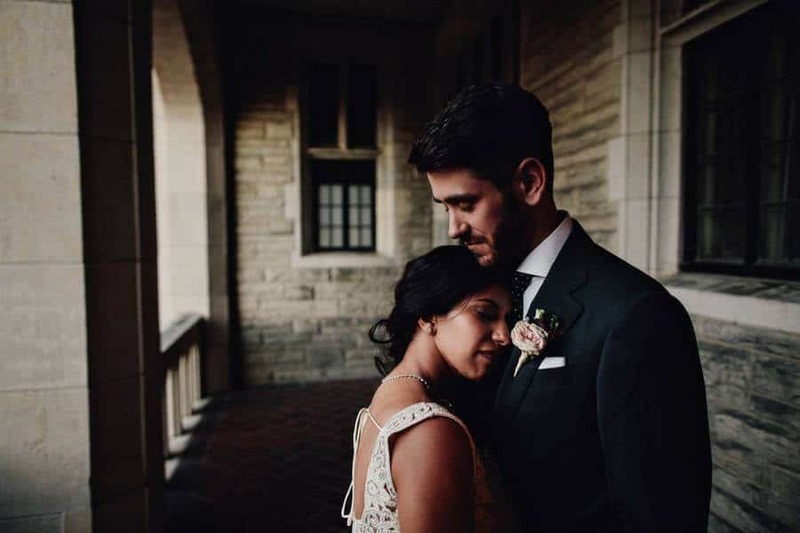 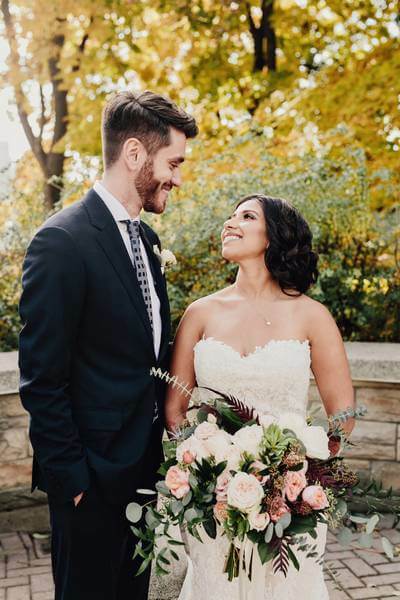 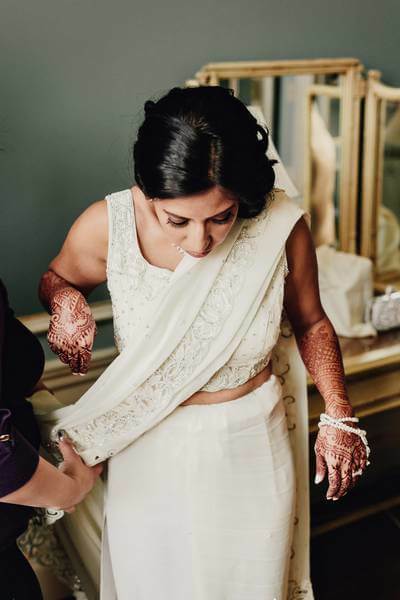 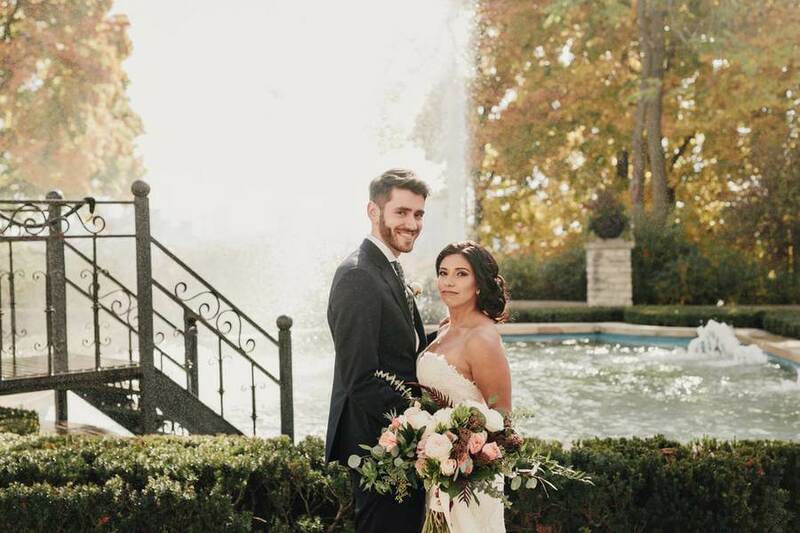 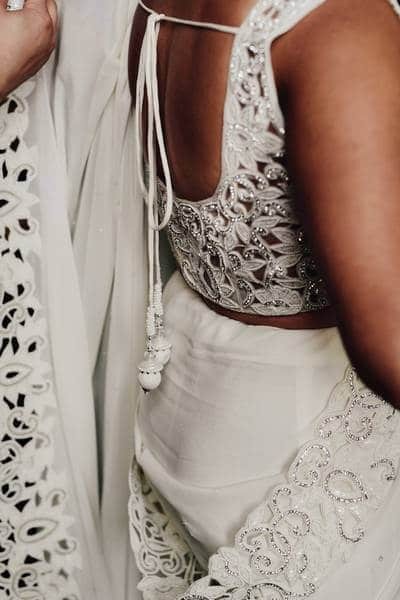 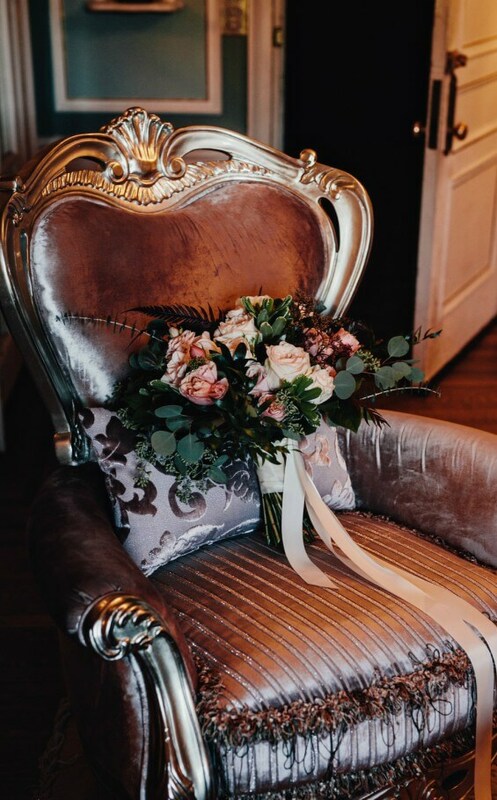 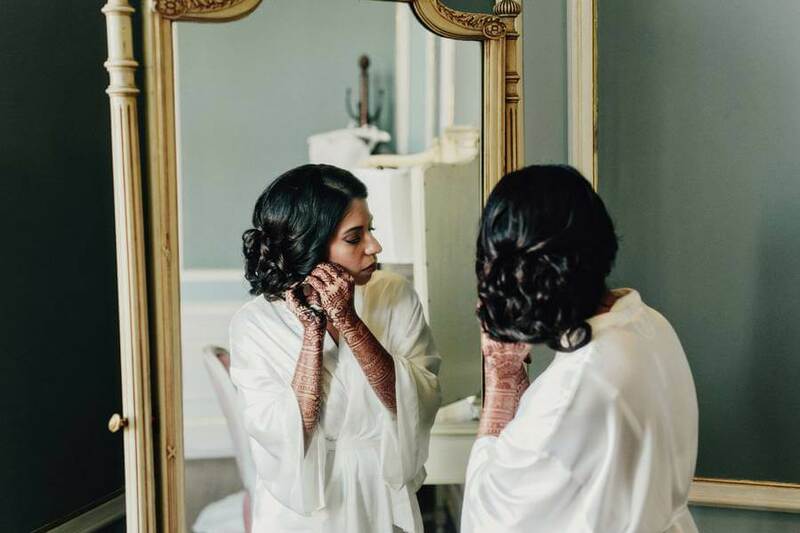 Aliya and John’s big day at Casa Loma was straight from a fairy tale: starting with the immense beauty of the venue to the fantastical florals and the magical decor from Sara Baig Designs, this wedding is enchanting beyond words. 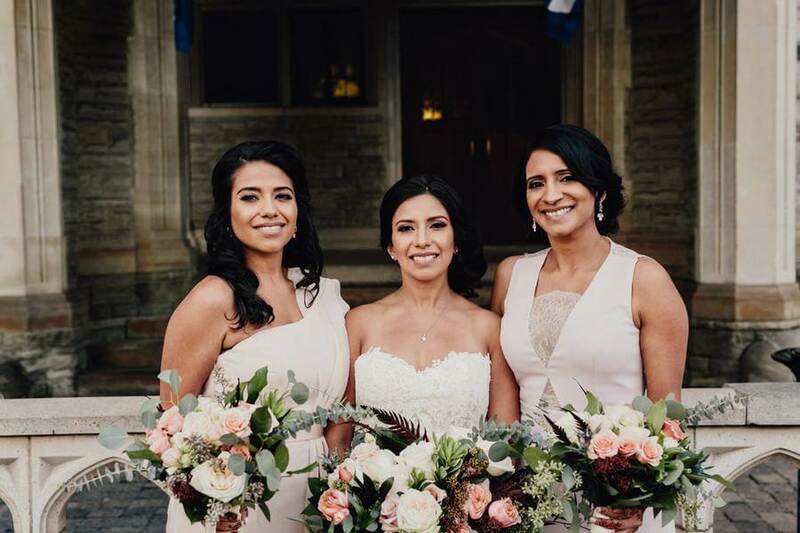 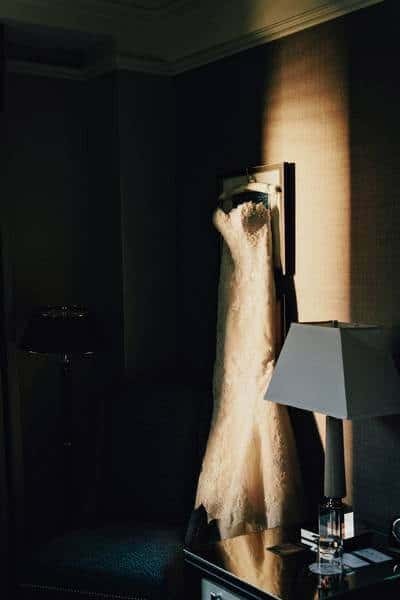 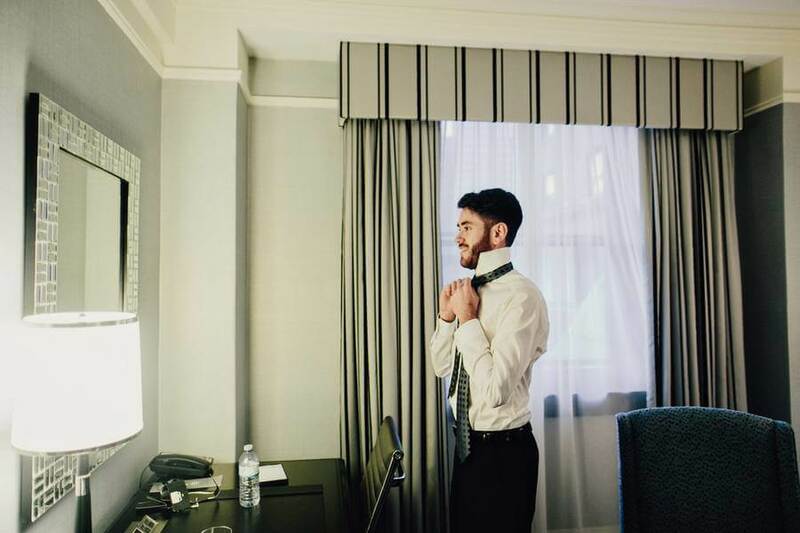 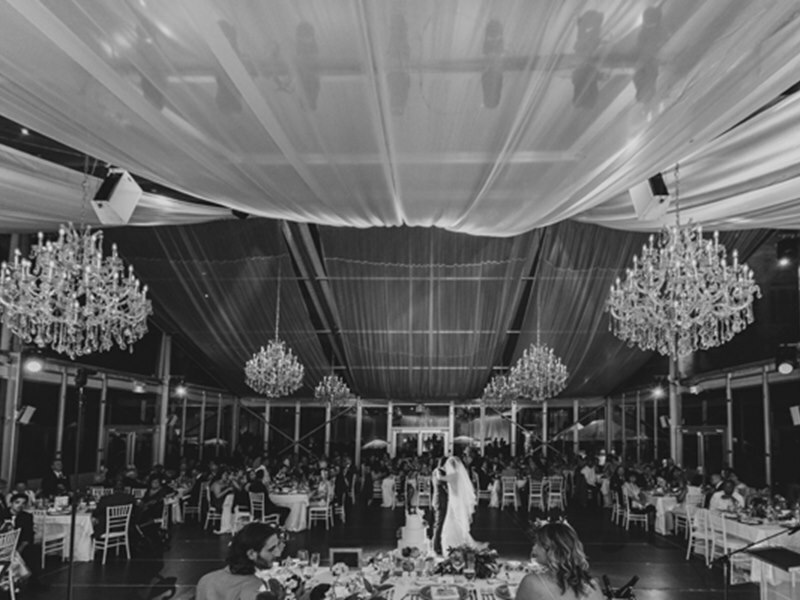 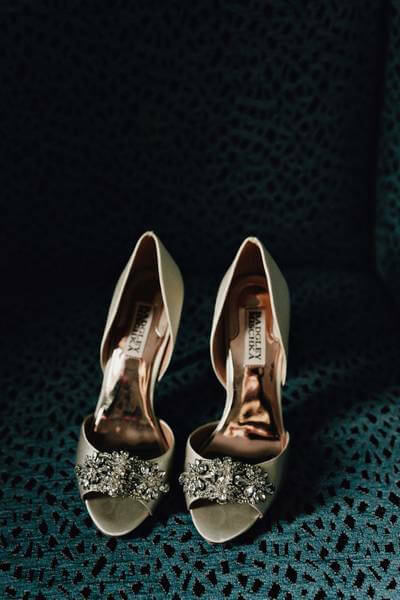 Perfectly planned by Biji Planners and stunningly snapped by Taylor Roades Photography, you definitely don’t want to miss this wedding! 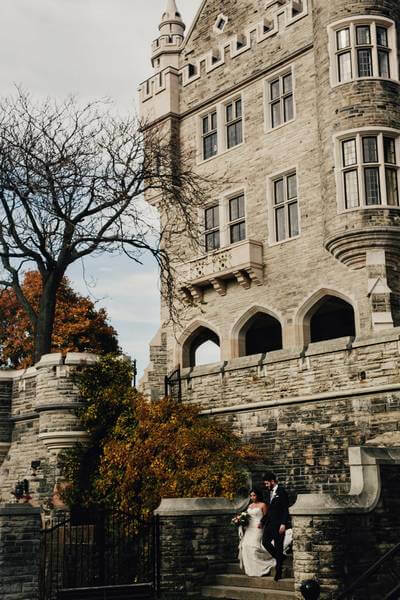 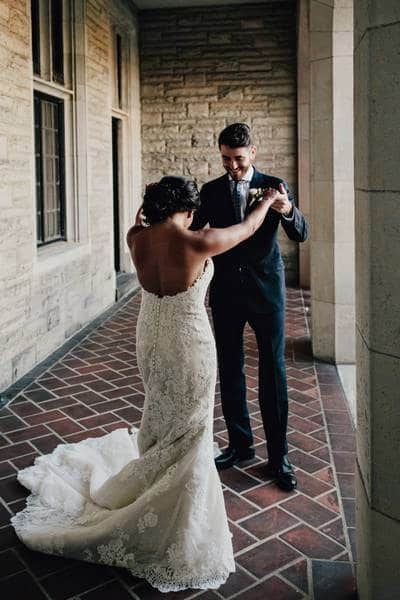 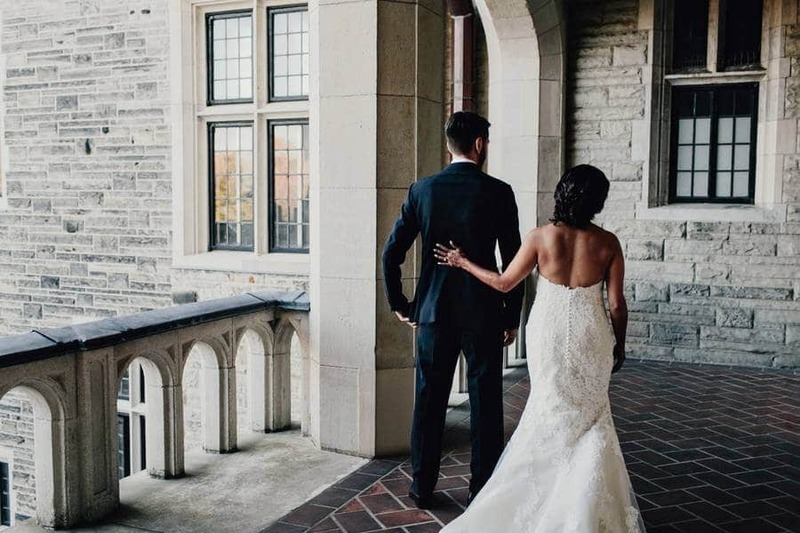 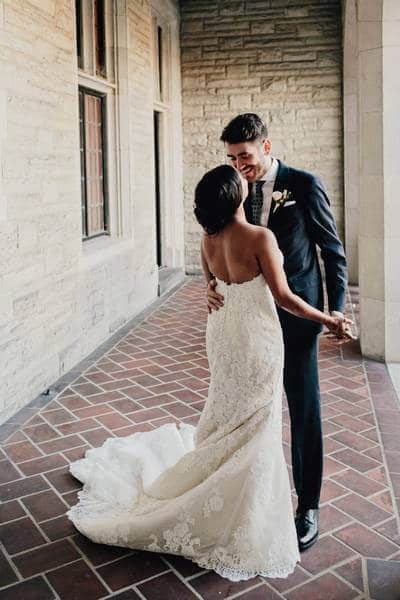 The stunning architecture and lush grounds of the castle provide the perfect backdrop for the couple’s memorable photo shoot, including their romantic first look. 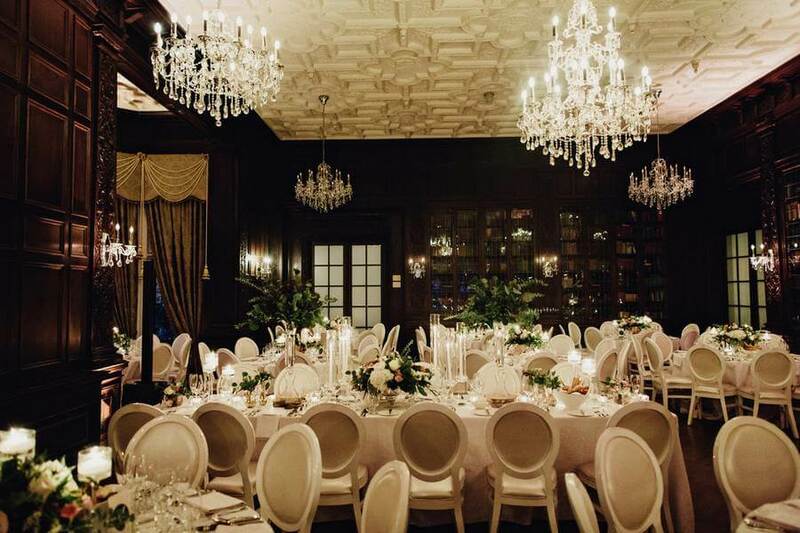 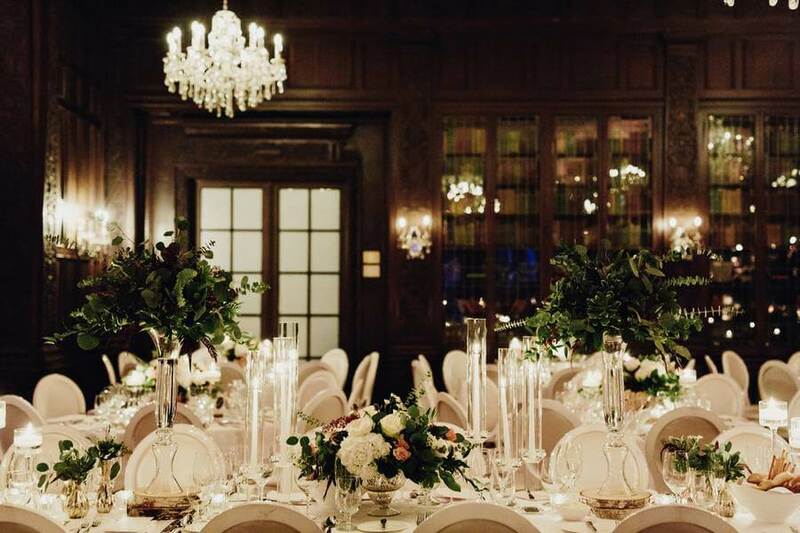 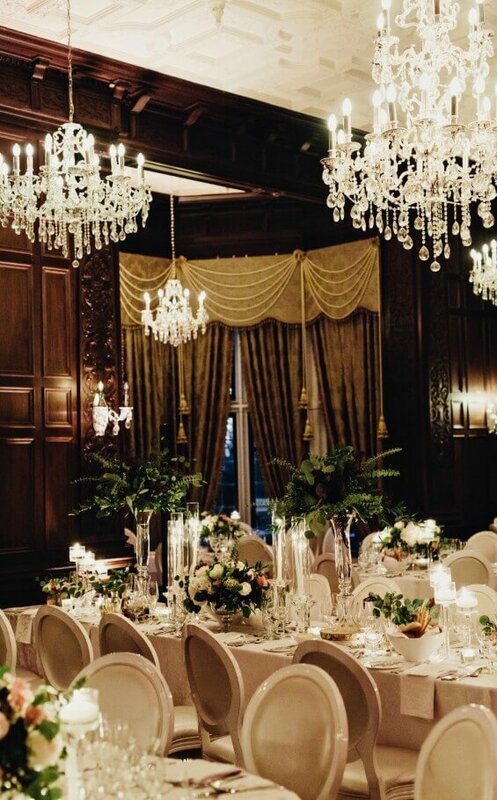 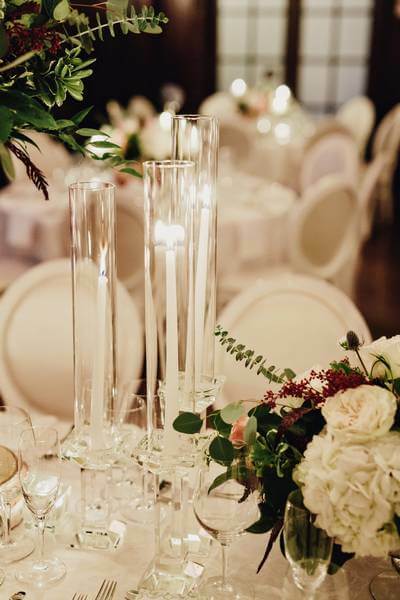 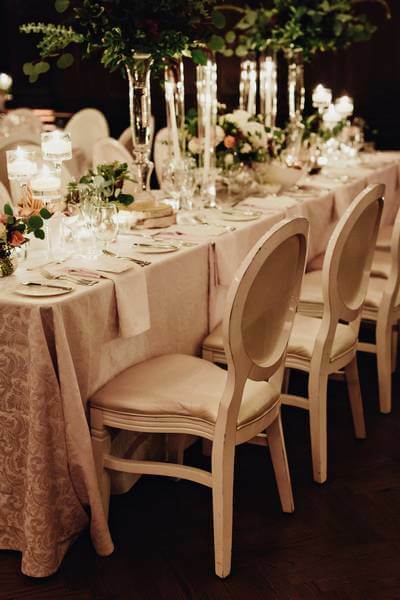 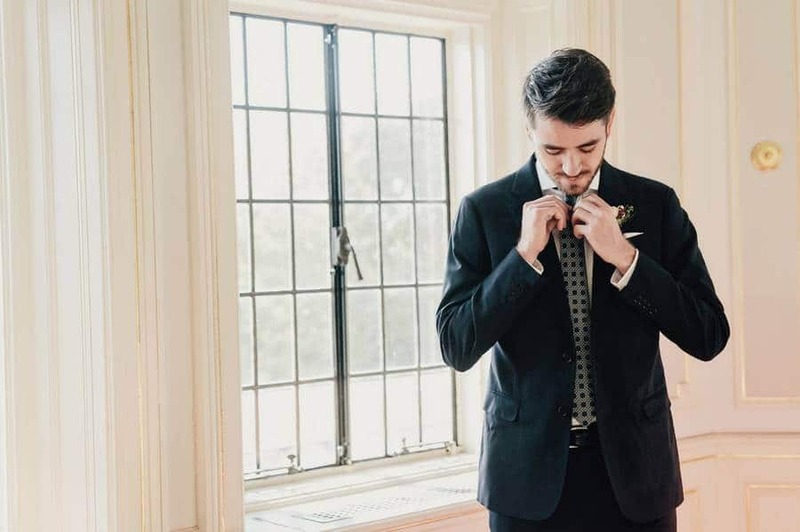 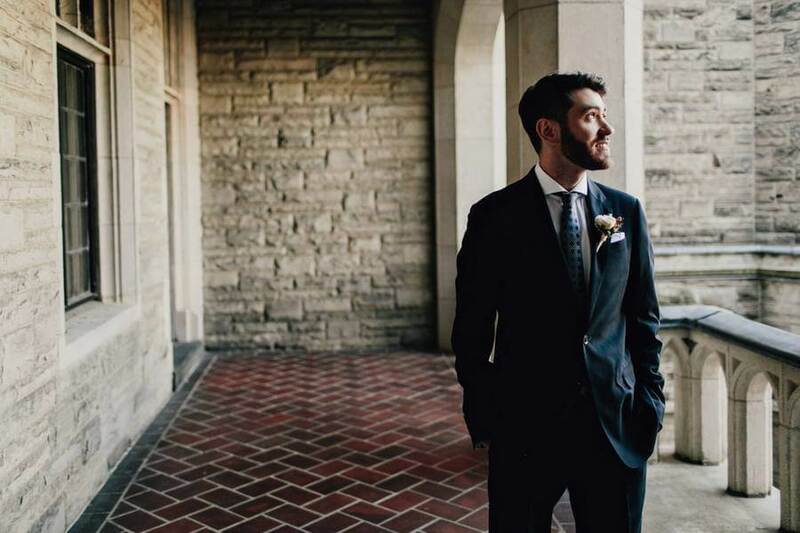 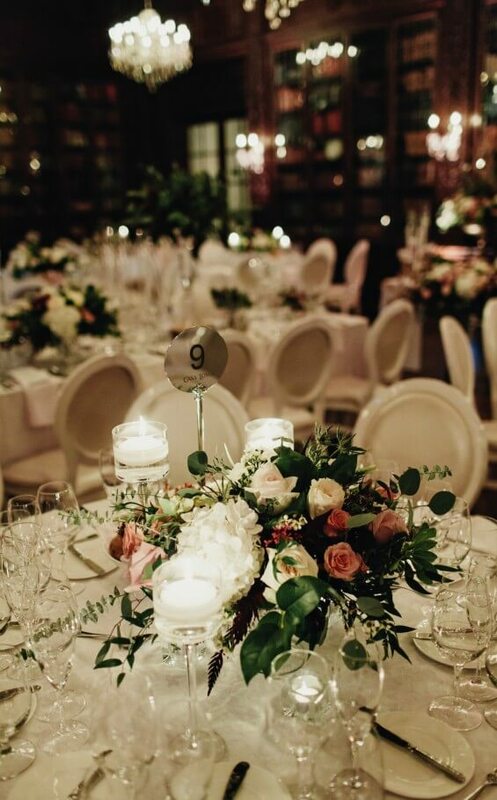 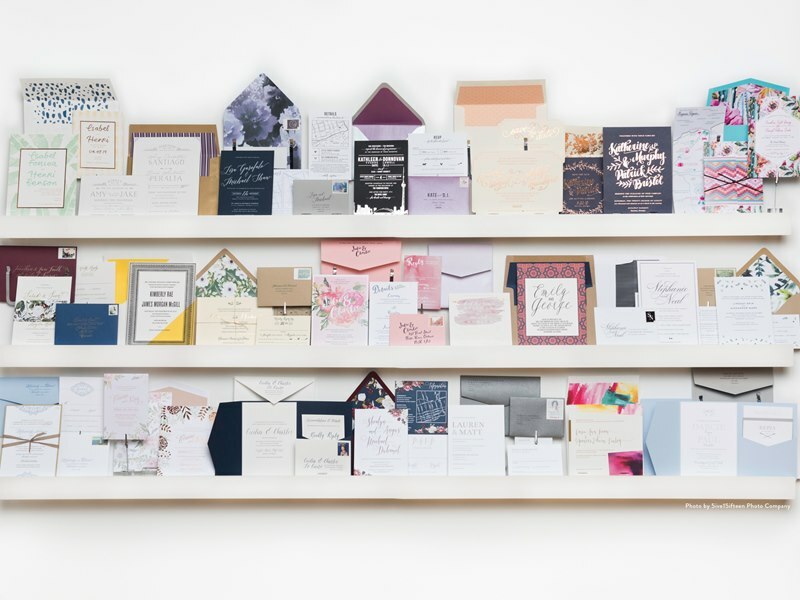 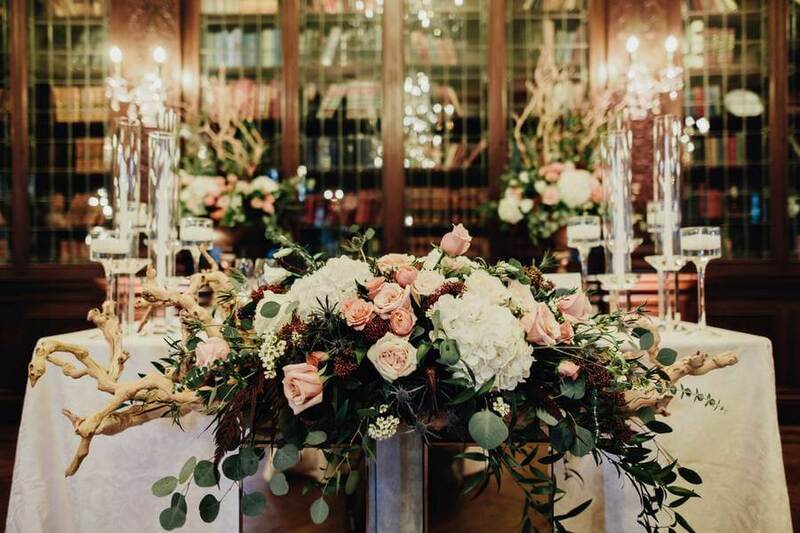 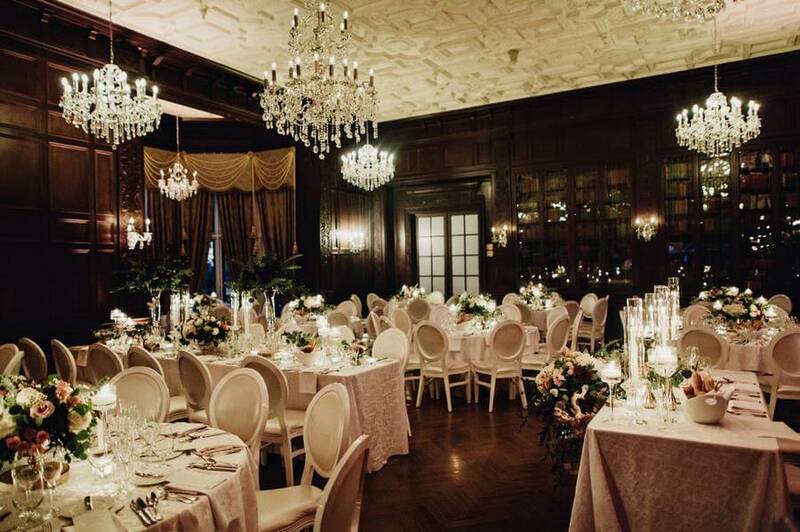 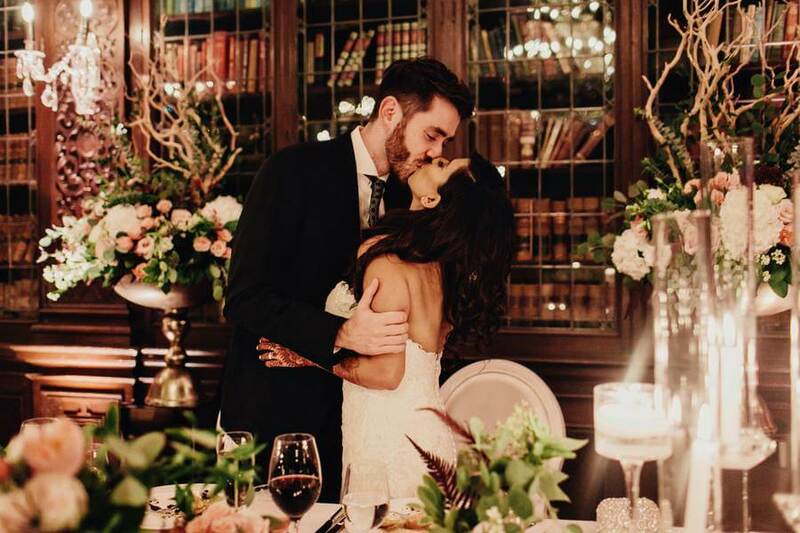 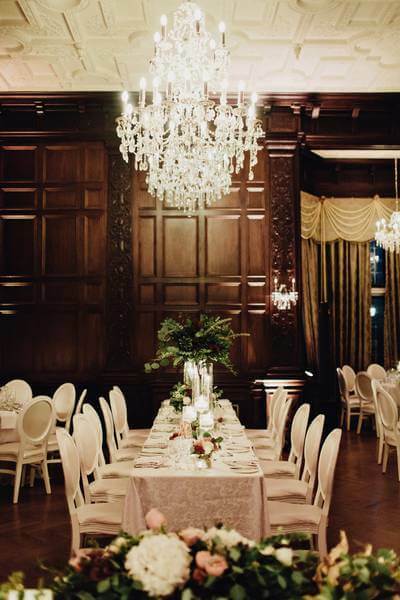 Set in the beautiful library in Casa Loma, the reception is the epitome of moody romance. 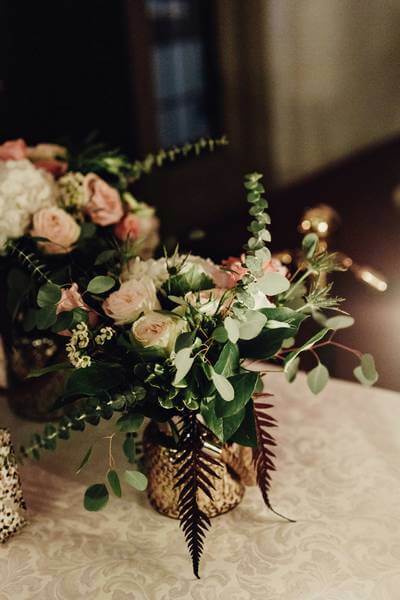 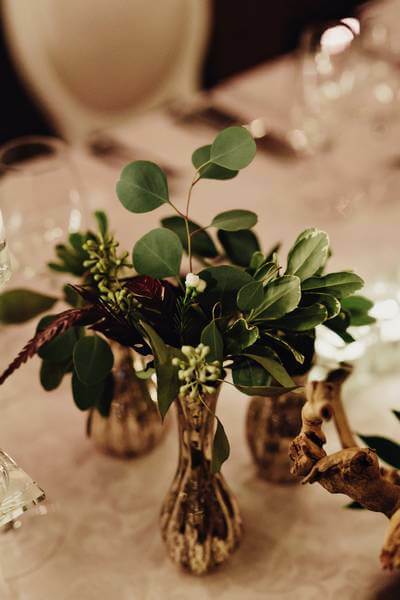 Filled with lush floral arrangements of blush, ivory and foliage, layered with accents of antique gold and driftwood branches, along with stunning chandeliers and candles, this reception was both intimate and luxurious. 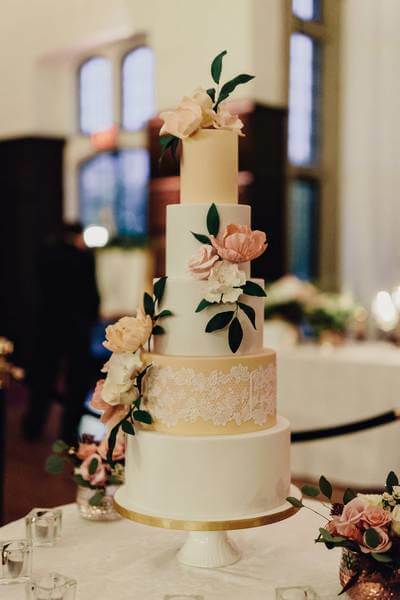 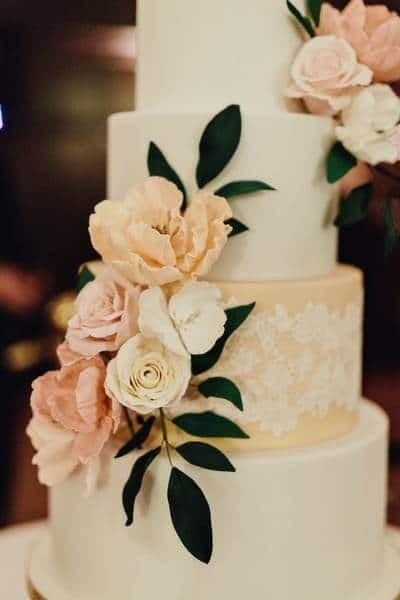 The moss green, blush and ivory elements were also featured in the regal cake from My Lil Cakery as well as the intricate stationery by the team at Paper & Poste, creating gorgeous cohesive details everywhere you looked.